This is an rather old collection of HQ screens from my playthrough of some RWO made campaigns using the amazing PLA module done by the VME. The campaigns represent a reproduction of the Golden Triangle counter-terroist and anti drug trafficking operations conducted by the forces of Vietnam, Thailand and Burma with significant Chinese SOF and MP support. 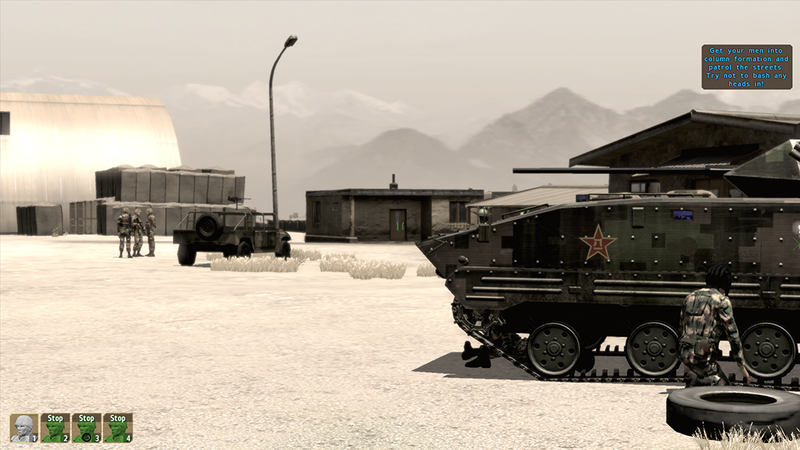 The second batch of screenshot is about the first serious anti-state Xinjiang riots that occurred in 2008-2009. The campaigns and the mod can be downloaded from the Armaholic website. You'll need something like WinRAR or 7zip to extract the images and the images are in ".bmp" which should viewable using the standard Windows image viewing applications. Oh, Guest. I was expecting you to come to my works eventually. Game is Armac2:CO, you can buy it on Steam and the mod is VME PLA you can download it on Armaholic.com.